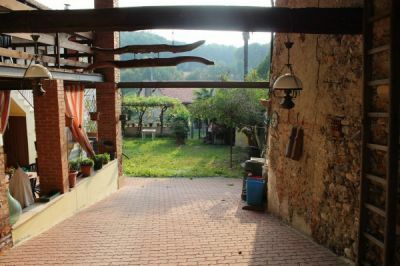 In the center of San Martino Canavese we offer independent solution with private garden. You can access the property through a door that opens onto a large, recently paved, covered, self-blocking entrance hall. The solution is on two levels. A nice and spacious furnished porch that can be used to pass pleasant convivial moments leads to the entrance of the ground floor with living room, kitchen, tavern and service with external entrance. The external staircase leads us to the first floor where we develop the area known as three bedrooms, a further service and a large covered terrace. Complete the property in the basement a cellar. For more information or to make an appointment can call us at 0124.510.224, send us a sms to our number whatsapp 3475174195, contact us at our email address castellamonte @ tempocasa.it or visit us in Via Educ n. 50 in Castellamonte. In addition, thanks to the collaboration with the PIU 'MUTUI CASA credit brokerage, we offer discounted rates for mortgages and FREE INFORMATIVE CONSULTANCES for the purchase of your Dreams' home. If you are interested in a FREE evaluation and WITHOUT COMMITMENT of your property we are at your disposal. You can find this and many other proposals on our website www.tempocasacastellamonte.it.